Success in sport is dependent upon many factors, but when everything else is equal, nutrition can make the difference between winning and losing. 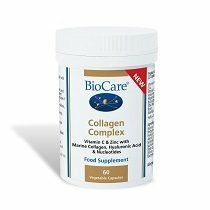 At BioCare®, we firmly believe that there is no substitute for a healthy diet. However, it is all too common to consume less than sufficient levels of nutrients and this can lead to poor health, impaired recovery and underperformance. This is where supplements can play an important role. Whether you are looking for an Informed Sport approved supplement tested for banned substances or a unique formulation designed for maximum efficacy, our range has something to suit all needs, from the elite athlete to the occasional enthusiastic amateur. Numerous studies have now shown deficiencies of key common vitamins such as vitamin D and simple essential minerals like iron in elite athletes. In addition, extra demand placed by training and competing can deplete nutrients even faster, so obtaining sufficient quantities from the diet can be challenging. Leading sports nutrition practitioners not only aim to correct dietary deficiencies, but also maximise recovery from training, competition or injury and support the immune system so that individuals can continue to perform at the highest level. It is widely accepted that the addition of key nutritional supplements to any exercise regime can be beneficial for health, but not all supplements are created equal and it can be difficult to find an effective one. Athletes and physically active individuals would therefore obtain the greatest benefit from high quality supplements, backed by scientific credibility and practical know-how. Incorporating these principles can often provide that extra edge, imperative when the margins between winning and losing are so small. 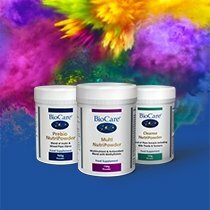 BioCare® is a reputable, specialist healthcare company with a track record of producing high quality supplements made from the best possible raw materials. Our supplements have been formulated by nutrition practitioners using only the best quality, optimum potency and most bioavailable ingredients. 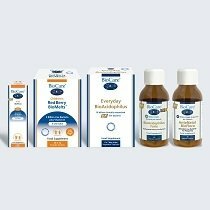 All of our formulations are manufactured in the UK and are based on years of research and are relied upon by professionals worldwide to deliver results. They have guaranteed levels of purity and selected supplements are tested through the ‘Informed-Sport’ programme. Discover our entire range of sports supplements below and find the right products to suit your needs now.